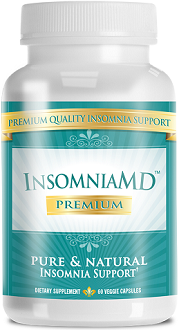 Natural Sleep Aid is the subject of our review today and as can be inferred, it is a supplement to combat insomnia. About half of all adults struggle to sleep at some point, whether this lasts for one week or several months. The causes are normally stress and anxiety; poor nutritional choices such as too much caffeine, alcohol or other stimulants; and a lack of physical activity. The main cause is usually due to a lack of minerals and nutrients that the thyroid and brain need to properly regulate the sleep-wake cycle. 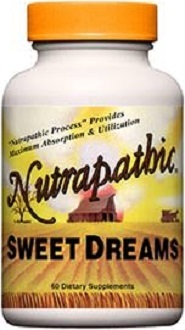 Natural Sleep Aid is a herbal formula. It is formulated, says the manufacturer, with a complete blend of vitamins, minerals, amino acids, glandulars and natural Ayurvedic herbs to nourish your brain so you get a restful night’s sleep. Let’s zone in on the ingredients to see if it holds up to the manufacturer’s claim. Long pepper promotes sleep by reducing and alleviating stress. Ashwagandha also helps you process stress to help you ease into sleep more easily. It can also help boost energy levels, so you feel refreshed upon waking. Wild lettuce acts as a sedative to help induce sleep while calming restlessness and anxiety. Magnesium is a known relaxant, and important if you are to be able to go into the sleep state easily. L-Glutamic Acid HCL is an amino acid that ultimately works as a neurotransmitter, and is therefore essential to proper brain functioning. Most of the other ingredients act in supportive roles to boost processes related to sleep. Nutrapathic has therefore formulated ingredients to reduce underlying factors such as stress and chemicals necessary for sleep, while also focussing on elevating mood so you feel refreshed upon waking. The manufacturer has not provided very clear instructions regarding to dosage that we could find. It is safe to say that that you should start taking one tablet at night, and escalate this to two if you need to. Consult your doctor, and also get doctor clearance if you’re suffering from a known medical condition, or are pregnant or are breastfeeding. One bottle of 60 tables retails for $15 on the supplement’s website. At the time of compiling this review, it was on back order which means it may not be immediately available for shipment. While there are specials from the manufacturer, none related to this product. Your order will be refunded if you are not happy with the supplement after having tried it for one month. As an ayurvedic remedy this supplement is gentle and safe enough to be used long term without any side effects. Nutrapathic says you should get immediate results, but our research shows this will depend on the factors making you unable to sleep. It rounds up some important minerals as well as vitamins. However it lacks L-theanine, an important thyroid amino acid. The thyroid helps regulate sleep in conjunction with the brain. 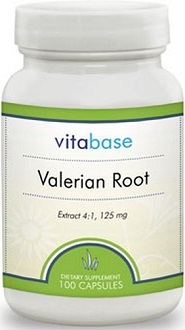 It also lacks melatonin, which is one of the main chemicals necessary to induce sleep. 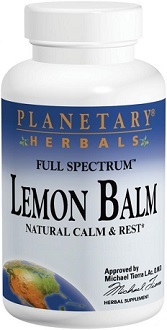 We would also have expected to see some stronger tranquilizers such as lemon balm and valerian root making their way into the ingredients, as these are also natural botanicals. Should you need immediate relief, be reminded that this product was on back order at the time of doing our research, and there was no indication when Nutrapathic would have stock available again.